Have long hours at work and not enough sleep left your skin looking less than radiant? Give your skin the treatment it deserves with HydraFacial. Just one hour is all it takes and will leave your skin feeling luxurious and velvety. The HydraFacial is a medical grade facial. Medical grade facials take the traditional facial several steps further, due to the strength of the products and also the equipment used. Finally we rejuvenate the skin with red LED light to reduce redness and stimulate collagen, or a blue LED light to reduce acne and target bacteria. The Hydrafacial will give you superior longer term results compared to any traditional facial. Your skin will look healthy and glowing, fine lines will be softened and you will leave with that glow you had in your youth! Number of treatments required: When required. Results visible: Best results are 24-48 hours after treatment with ongoing improvement. Social downtime: Mild redness for several hours. 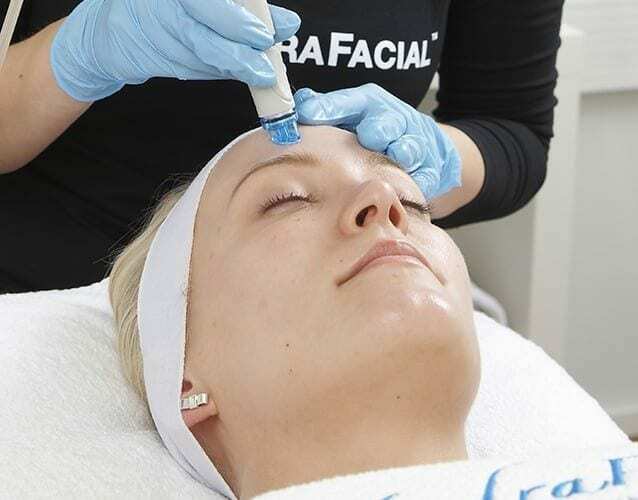 To find out more about our HydraFacial Treatments or to book a consultation, please telephone us on +44 20 7935 6358, send us an enquiry on the Contact Us Page or email appointments@drhausdermatology.com. I booked my HydraFacial right after London Fashion Week after which I had cumulated 4 weeks of non-stop work sans day off, a couple of trips and 4 to 6 hours sleep per night. I was physically and mentally exhausted and it showed on my face. Suitable for both men and women, this treatment is thorough to say the least. It is not a pampering treatment of any sorts but it probably is one of the most efficient facials in the market to reboot the skin.